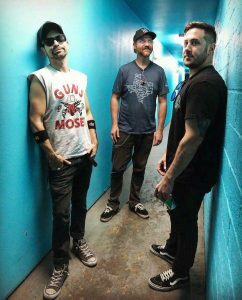 CKY, which is headlining a show at Underground Arts (1200 Callowhill Street, Philadelphia, http://undergroundarts.org) on August 31, is a band with its roots in West Chester. “Me and Deron (Miller) went to West Chester East, ” said CKY drummer Jess Margera, during a phone interview last week from a tour stop in Dallas, Texas. CKY, which is an acronym for “Camp Kill Yourself,” followed with “Infiltrate•Destroy•Rebuild” (2002), “An Answer Can Be Found” (2005) and “Carver City” (2009). Then, the band virtually disappeared from the radar. 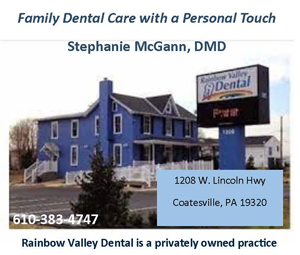 “The band pretty much fell apart,” said Margera, who now lives in the Downingtown area. “We needed time to have a break. We got involved in different projects. I was playing in The Company Band with Neil (Fallon) from Clutch. The current line-up of CKY features Chad I Ginsburg, Matt Deis and Margera. “We stole Matt from All That Remains in 2015,” said Margera. “He had played with us before from 2005-2010 but left the band because he couldn’t handle the singer (Miller). We called him in 2015 and asked him to rejoin the band. He said ‘f*** you’ but when we told him Deron was gone, he came onboard. In March 201, CKY signed a worldwide deal with Entertainment One Music and then released its latest album “The Phoenix” three months later. “The Phoenix” was recorded at the famed Rancho De La Luna studio in Joshua Tree, California. CKY stayed much closer to home for its next venture into the studio. “We started working on the EP in January,” said Margera. “On this tour, we’re focusing on songs from ‘The Phoenix’ and from the EP. “We kept ‘The Phoenix’ to eight songs and 30 minutes. With people’s attention spans these days, it doesn’t make sense to bust your balls to make a long album. We’re thinking about a subscription with a song a month. “I have four kids and they’re not fans of any bands. They just like songs. My oldest daughter is 13. When I was 13, I rallied behind the bands that I loved. Now, they don’t even know the band’s name of the song they like. Video link for CKY — https://youtu.be/8BJcJalxEdo. The show at Underground Arts, which also features Slaves, Awake I Am and Royal Thunder, will start at 9 p.m. Tickets are $25. It’s Labor Day Weekend and that means it is time once again for Philadelphia’s largest annual outdoor music event – the Budweiser Made In America Festival. A primary goal of Made In America is to continue the festival’s positive impact on the communities involved. Since 2012, the event has generated $102.8 million in economic impact for the city. This year, the festival, produced by Roc Nation, will continue to benefit the ACLU of Pennsylvania as well as United Way of Greater Philadelphia and Southern New Jersey. This year, the event shares the same dates as the inaugural staging if the festival – September 1 and 2. 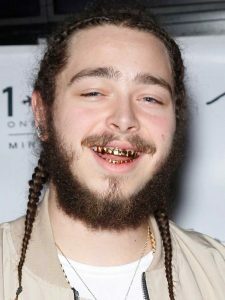 This year’s headliners are Post Malone on Saturday and Nicky Minaj on Sunday. The fill line-up for the 2018 Made In America festival includes Daniel Caesar, Tekashi 6ix9ine, Pusha T, Lil Skies, Meek Mill, Diplo, Zedd, Miguel, Janelle Monáe, Alessia Cara, Fat Joe, 6lack, Belly, Ty Dolla $ign, Rich The Kid, Sabrina Claudio, Jessie Reyez, Louis The Child, Tchami, Lil B, Gunna, Cashmere Cat, Snakehips, Juice WRLD, BlocBoy JB, SOB x RBE, Sheck Wes, SAINt JHN, Jay Park, and Saweetie. The roster also features A$AP Twelvyy, Jai Wolf, TOKiMONSTA, Preme, White Reaper, Clairo, Show Me The Body, Code Orange, Turnstile, Saba, Anna Lunoe, Driver Era, Bloodpop, Injury Reserve, Hobo Johnson & The LoveMakers, Davido, Shoreline Mafia, Elohim, Petal, Kweku Collins, Odie, Maxo Kream, Lost Kings, Armani White, Amara La Negra, Buzzy Lee, Mir Fontane, Trouble, JPEGMAFIA, Tyla Yaweh, City Morgue, Louis Futon, Lophiile, Wicca Phase Springs Eternal, Orion Sun and Zahsosaa. Live music will be performed line and non-stop on five stages – Tidal Stage, Freedom Stage, Skate Stage, Liberty Stage and Rocky Stage. Activities will start at noon on Saturday with D’usselpalooza on the Skate Stage. On Sunday, the music starts with a set by Buzzy Lee on the Tidal Stage. Video link for Post Malone — https://youtu.be/dSjzVIaRISs. Video link for Nicky Minaj — https://youtu.be/eMymSXUN9nQ. Tickets for Made In America are $175 for a two-day general admission standard ticket and $750 for a two-day “MIA VIP” ticket. If you listed all the drummers who cite Terry Bozzio as a major influence, it would quadruple the total of acts performing at Made In America – and then some. On September 4, Bozzio is bringing his “Reality Tour 2018 North America” to the Sellersville Theater (24 West Temple Avenue, Sellersville, 215-257-5808, www.st94.com). “I’m constantly adding to my drum kit,” said Bozzio, during a recent phone interview from his home in Camarillo, California. Bozzio is taking drums as a musical instrument to uncharted territory. “What I’m doing is more about the art,” said Bozzio. “The drum kit is 100 years old and has an amazing tradition. I’ve pushed the drum set into a melodic instrument. “I like to incorporate it all — orchestration, tone colors and things I can shake, hit, rattle or roll. It’s very melodic. Half of the kit is tuned chromatically, which means it has all the notes on a piano — black and white. Half of it is tuned diatonic with just the white notes of the piano. I use a program called Simple Moments. “Classical music is definitely an influence. There is also the harmonic element that I’m exploring — implied changes with melodies over one bass note. I use midi-triggers to produce the pure sine wave of the pitch. Even though Bozzio has been playing drums and making music for more than 50 years, he is showing no signs of slowing down. Zappanale is an annual music festival in Bad Doberan, a German town previously part of East Germany. The festival was first held in 1990, and the program features various bands performing the music of the late composer and guitarist Frank Zappa. Many musicians who have previously played with Zappa have performed at the festival over the years. Bozzio has toured and recorded with a number of top world music drummers and percussionists, including India’s legendary tabla player Zakir Hussain and Japan’s Naoki Ishikawa. Bozzio’s first real introduction to the world of rock music came in 1975 when he joined Frank Zappa & the Mothers of Invention and recorded with Zappa and Captain Beefheart on Zappa’s “Bongo Fury (Live at the Armadillo in Austin, TX)” album. Bozzio also is an accomplished sketch artist who has an art exhibition and sale at each of his shows. He credits Captain Beefheart (Don Van Vliet) as an inspiration both musically and artistically. “The Captain did amazing things musically, but you needed a thesaurus to figure out what he was talking about,” said Bozzio. “He was an amazing artist. He encouraged me with my sketching. Bozzio has been creating works of art since 1975. Bozzio’s art can be viewed and purchased at www.terrybozzioart.com and www.terrybozzio.com. While Bozzio’s live drum show is a solo performance, it is far from just a series of impressively outrageous drum solos. Bozzio is able to accompany himself with bass note patterns and, at the same time, melodically solo with highly developed coordination skills to express a “complete musical statement” on the drum set alone. 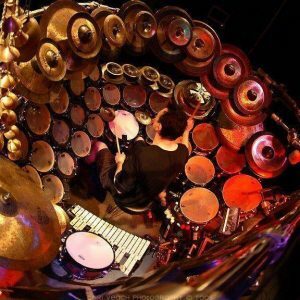 His show is a unique, intense, dynamic, spiritualistic, melodic, orchestral, atmospheric, and musical performance on the largest tuned drum and percussion set in the world. “I think of it as a classical performance,” said Bozzio, who also was the drummer for the 80s hit-making band Missing Persons. Video link for Terry Bozzio – https://youtu.be/CroX237dzfY. Other upcoming acts at the Sellersville Theater are Get the Led Out from August 30-September 2 and CJ Chenier & The Red Hot Louisiana Band on September 5. The soundtrack to the film “Funny Girl,” which featured songs by the film’s start Barbra Streisand, was released in August 1968. On September 1, Streisand fans can enjoy a “50th Anniversary Celebration” of the historic album at the Rrazz Room (6426 Lower York Road, New Hope, www.therrazzroom.com). On Saturday night, Streisand’s music will come alive when Steven Brinberg brings his latest “SIMPLY BARBRA” show to New Hope with a celebration of the classic movie’s 50th anniversary. Barbra Streisand won her first Oscar for the film. Featured in Brinberg’s show will be songs written for the film and the stage musical of “Funny Girl” – along with other Streisand hits and surprises as well. The show will also features Michael Ferreri as Musical Director and Daniel Gramkee as special guest vocalist. Rrazz Room (6426 Lower York Road, New Hope, www.therrazzroom.com). Brinberg created his first “SIMPLY BARBRA” show in 1993 at the famous Don’t Tell Mama cabaret where it ran a record-breaking four years, winning him two MAC awards and a BISTRO award. According to Brinberg, “I always liked to do voices, even as a little kid. I just had an ear for it. After a few weeks at school, I could do all my teachers and friends. I was interested in nothing else but performing. But I was very shy as a child. I still am. So, in school and camp, while I gravitated toward theater, I didn’t really pursue it. In high school, I directed and wrote plays but I wasn’t in any. Then, as I got older, I was always writing. Brinberg’s special talent shone brightest when he zeroed in on Streisand’s music. “I was always singing and acting – and I always loved Barbra,” said Brinberg. “When I realized I could sing like her, I put together my Barbra show. “Prior to that, I had a little segment of Barbra’s music in my stage show. People were amazed at how much I sounded like her and kept telling me that I should do a full show of Barbra’s music. Nonetheless, Brinberg’s Streisand show features the sights and sounds of the legendary singer/actress. The show at the RRazz Room on September 1 will start at 8 p.m. Tickets are $30 and $40. 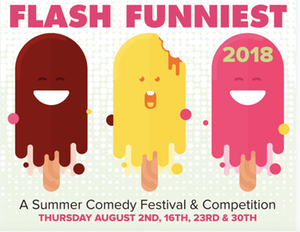 Kennett Flash (102 Sycamore Alley, Kennett Square, 484-732-8295, http://www.kennettflash.org) will present “Flash Funniest 2018 – A Summer Comedy Festival – Week #4” on August 30 featuring Erin Moreland, Gene Meyer, Scott Armstrong, Dan Getz, and Dan Clark. Chaplin’s (66 North Main Street, Spring City, 610-792-4110, http://chaplinslive.com) will host Soraia, Somerville, Zoo Trippin, and Luke Eccles on August 31. The Ardmore Music Hall (23 East Lancaster Avenue, Ardmore, 610-649-8389, www.ardmoremusic.com) will present Asleep at the Wheel on August 30 and Splintered Sunlight on August 31. Valley Forge Casino (1160 First Avenue, King of Prussia, 610-354-8118, www.vfcasino.com) will host Jessy Kyle on August 31 and Scattertrain on September 1. The Queen (500 North Market Street, Wilmington, 202-730-3331, www.thequeenwilmington.com) will have Classic Deep Purple Live with Glenn Hughes on August 31, Chuponcito on September 1, and Nothing More on September 5.